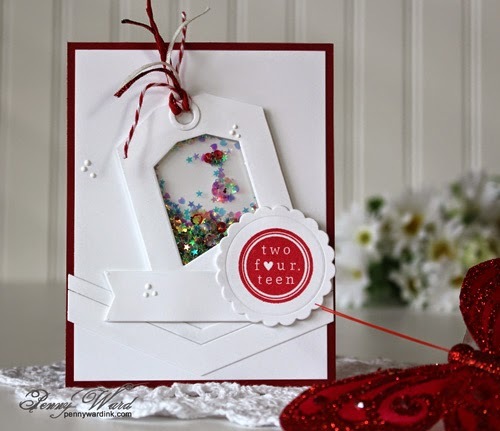 I am so glad that shaker cards have made a big come back...I just love them and this challenge was a perfect way to put a small shaker on a Valentines card. Now don't go getting all like...that card is not Clean And Simple. The first Words 2 Scrap By challenge of the New Year is up and running. Hope you will join us for our social-media inspired challenge. Hmm what can I say about this card? Gorgeous. Elegant. Fun. I'm loving it, Penny. Penny, you make me smile! You are right, it is still clean and simple-- even though there are a few layers on there, you maintained so much white space! What a fun shaker Valentine, sure to make someone smile (and have lots of fun shaking it!)! Thanks for playing along at CASology! Absolutely SWEET! 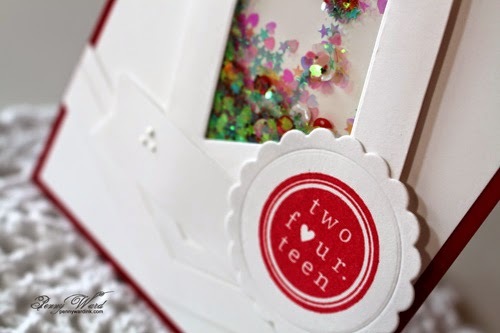 Love the colorful sequins against the white! Gorgeous shaker card, Penny! So glad that you join the fun over Virginia’s View “Clean Slate” Challenge! So, so fun!!! 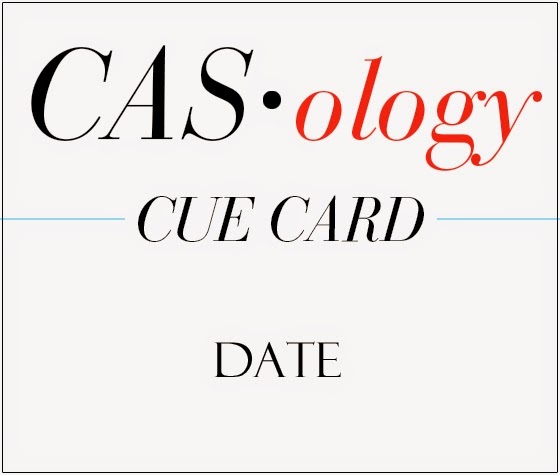 Love how sweetly and cutely this CAS card with a few layers met the cue word - Date!!! I am so impressed and I really like what you have created here - it is fresh, clean, and crisp!! Thanks for the inspiration!! Another home run! It certainly is clean and simple .. with details that make it interesting. I am sure I need that Pico stuff. Love how all the white layers really make the sparkles pop! Thanks for playing along with CASology this week! Love your shaker, Penny! Fantastic take on the SFYTT! I'm a shaker-a-holic and LOVE what you've done!